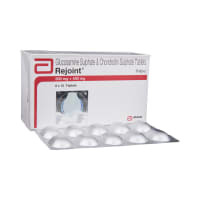 Diacart G Tablet is used in the treatment of osteoarthritis. Take this medicine in the dose and duration as advised by your doctor. Swallow it as a whole. Do not chew, crush or break it. Diacart G Tablet is to be taken with food. Diacart G Tablet is a combination of three medicines: Glucosamine, Diacerein and Methyl Sulfonyl Methane, which treats osteoarthritis. Glucosamine and Diacerein are proteoglycan synthesis stimulators while Methyl Sulfonyl Methane (MSM) is a nutritional supplement. Together, they help in the building of cartilage (the soft tissue around the joints) leading to joint repair. MSM additionally lowers inflammation (swelling) of the joints. No information is available on the use of Diacart G Tablet during lactation. Please consult your doctor. It is not known whether Diacart G Tablet alters the ability to drive. Do not drive if you experience any symptoms that affect your ability to concentrate and react. 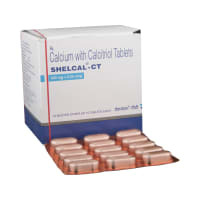 Diacart G Tablet is probably safe to use in patients with kidney disease. Limited data available suggests that dose adjustment of Diacart G Tablet may not be needed in these patients. Please consult your doctor. 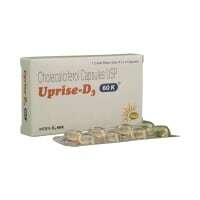 Diacart G Tablet is probably unsafe to use in patients with liver disease and should be avoided. Please consult your doctor. 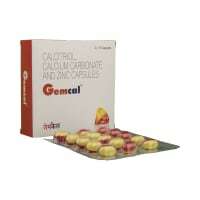 Diacart G Tablet helps in relieving symptoms of osteoarthritis. Side effects such as Nausea, Diarrhoea, abdominal pain, and indigestion may occur with Diacart G Tablet. These may not be with everyone. Any of the side effects other than those mentioned above if occur, do consult the treating physician. Do you have any questions related to Diacart G Tablet? Q. What are the storage conditions for Diacart G? Q. Can the use of Diacart G cause indigestion? Diacart G may cause indigestion. Take it with or after food to avoid Indigestion. Talk to your doctor if indigestion persists. A licensed pharmacy from your nearest location will deliver Diacart G Tablet. Once the pharmacy accepts your order, the details of the pharmacy will be shared with you. Acceptance of your order is based on the validity of your prescription and the availability of this medicine.